If you have a sizeable but under-used opted-in email database then you have an untapped revenue source. We can run targetted email campaigns to your data and we'll split the revenues with you on a 50:50 basis (net of sending costs). We'll always agree the rules of engagement with you as part of the deal. 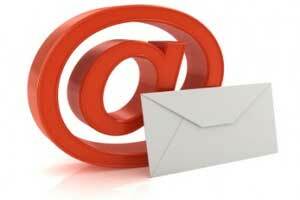 You may never have considered that your email database has untapped potential. You may or may not already use it to promote your business, but you can also use it to promote other companies products or services and earn extra revenues from this. Our monetisation programme means you allow us to send offers to your list - and of course you can select the types of offer you would prefer us not to send. The offers are sent in Affiniti's name and we split the revenues with you 50:50. We cover the costs of sending and the email creative. Obviously we only work with fully opted-in email lists and we abide by all relevant regulations. For a list owner like your business the great thing about this opportunity is that we do all the work. We'll simply tell you at the end of each month how much you have earned. So long as your email data is fully opted-in to receiving emails from 3rd parties then this service really is straight forward. You define the limits about what offers we can and can't send and then we get on with it. You can also set up live feeds for email data so that we can constantly update the email list that we send to on your behalf. It's cheaper to keep a customer than acquire a new one! Robust technology to ensure high deliverability and measurability. Capitalise on your customer email database to drive repeat business. Designing emails for deliverability and effectiveness.